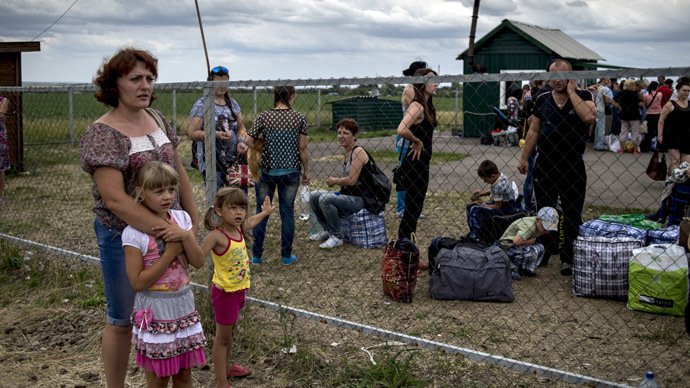 With 100,000 Ukrainian refugees already in Russia, as UN says, those fleeing violence continue to cross the border day and night. RT’s reporter on the ground spoke to those who left the horrors of daily shelling for an uncertain future in a new land. Holding close her curly-haired little daughter, Evgeniya speaks of the hell they’ve managed to get out of. “They were shooting nonstop, every night, and you just run and hide in the basement and pray to God they won't shoot you dead, so that you won't be hit, so that your family… survive,” she tells RT’s Maria Finoshina, who while filming in the turbulent east of Ukraine came across several families fleeing bombings in Kramatorsk, the town that’s been the target of Kiev’s military operation for months. All women interviewed burst into tears, recalling what they had to go through, not exactly knowing where they were heading and thinking of the loved ones they’ve left behind. Larisa, another young woman in the group, said her husband was still in Kramatorsk. They say their destination is somewhere “where there is no fighting,” which means anywhere across the border. Getting there is not simple, however. Fighting for numerous checkpoints is fierce and there are reports of civilians being caught in the crossfire – or even targeted themselves. The families Finoshina spoke to had to eventually give up their plans of crossing one checkpoint for fears it might be risky. They also asked the RT crew not to accompany them further – worrying that the presence of journalists would attract unnecessary attention. That could have be an unfortunate decision by the fugitive families, as the RT team eventually found the Severny checkpoint where people were safely crossing into Russia, believing there was no other way out for them. There, standing in the line to get their documents checked, people again shared their tears over the past and fears for the future. And even minutes away from somewhere, the nightmare of regular bombings ends, the old and the young ones were jittery, worrying fighting could break out there as well, at any moment. 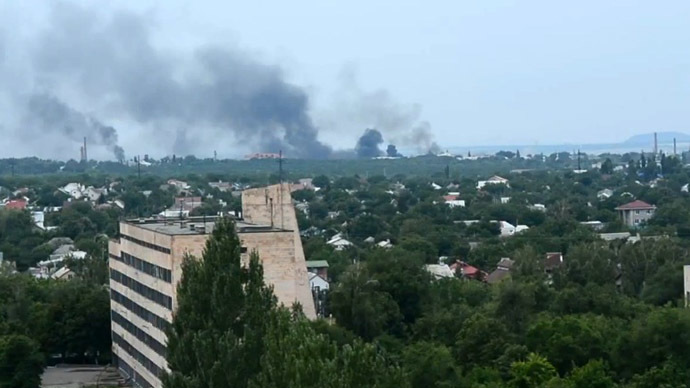 On Sunday, Kiev's artillery and air force attacked the city of Lugansk in eastern Ukraine, according to witnesses and militia of the self-proclaimed People's Republic of Lugansk. 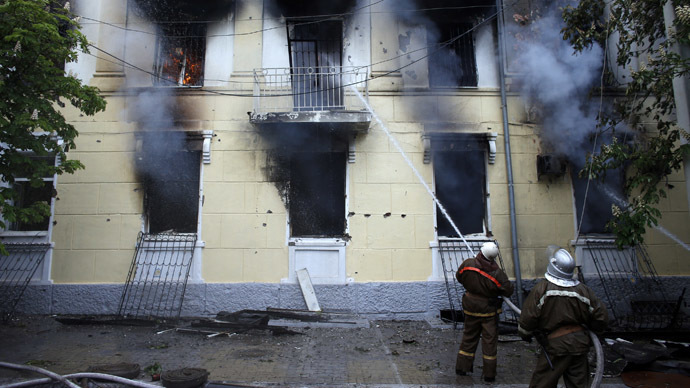 Moscow has expressed concern at reports that eastern Ukrainian civilian areas are being shelled by Ukrainian troops. “We are getting the most troubling information, saying that the Ukrainian troops are continuing mass shelling of the territories like Slavyansk and Kramatorsk which were abandoned by the self-defense forces,” Russian Foreign Ministry’s commissioner for human rights, Konstantin Dolgov, said. Kiev launched a military crackdown on anti-government protesters in Ukraine’s southeastern regions of Donetsk and Lugansk in mid-April. The two regions voted for independence in May. On June 24, the UN estimated that a total of 423 people were killed between April 15 and June 20 in fighting between government troops and self-defense forces in eastern Ukraine.